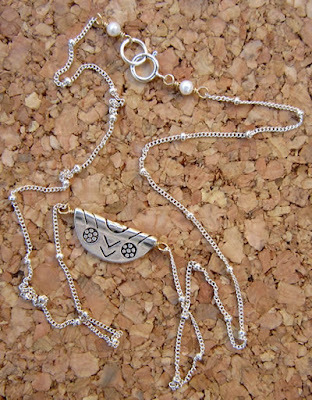 This is another of my most popular necklace styles - and no two are ever the same! It is 45.5 inches of pearl and seed bead variety, regularly spaced, but strung randomly. 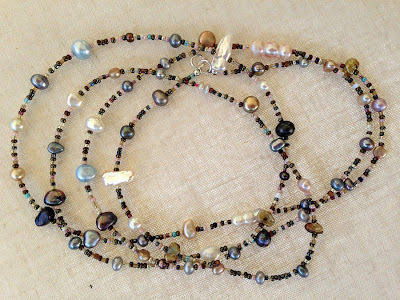 Mostly neutral freshwater pearls of every variety and size - round, oval, keishi, stick pearls, multi-round pearls and there is an occasional lt. blue pearl for a pop of color. There are top drilled and center drilled pearls. 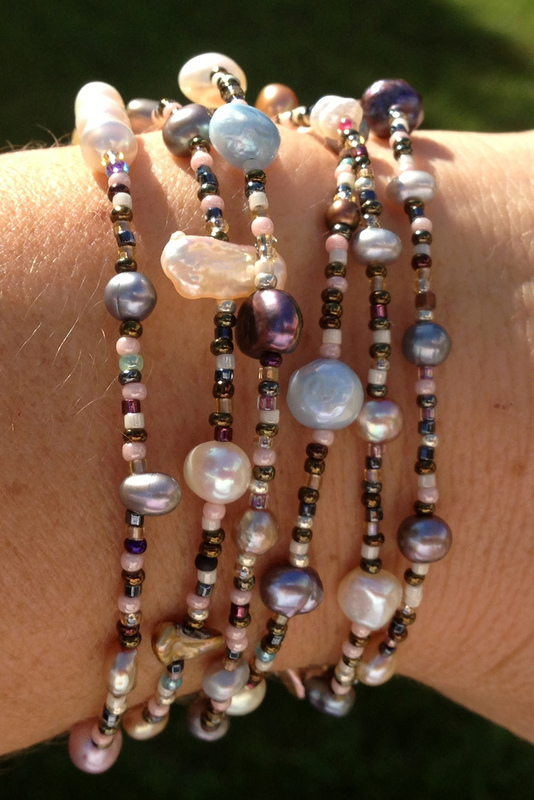 I also use a seed bead mix of neutrals including cream, sand, copper, silver, bronze, charcoal and gold and then add some pink, blue, turquoise and purple beads for contrast. It closes with a round sterling silver spring ring clasp. - as a bracelet wrapped around your wrist 6 times! This necklace is pure opulence and works for day or evening, summer or winter. It is very versatile and chic. $42.00 plus $2.00 shipping and handling. Hand wound wire binds beaded chain to lightweight hoops. All materials are sterling silver. Secure tension closure. $28.00 plus $2 shipping and handling within the United States. I have been busy making some beautiful jewelry. I use sterling silver, gold-filled or high quality craft wires with beads and gemstones. My web-store grand opening is planned for September 3, 2012 so please check back soon!